Hydrocodone is a medication that has been making headlines over the past decade as the opioid epidemic in America has garnered more and more attention. Classified as a narcotic analgesic, it is used in medical settings to treat moderate to severe pain or, less commonly, severe coughing. However, it turned out to have severe withdrawal symptoms requiring medical detoxification. The medication is highly addictive, both physically and mentally, despite its legitimate applications. As a result, those using it as prescribed often become dependent on the drug, and those who abuse it develop a crippling addiction. Hydrocodone abuse withdrawal and detox rehabilitation programs are increasingly common to address a growing need. If any signs of Hydrocodone abuse are noted, help is required. Why Does Hydrocodone Withdrawal Happen? What are the Factors That Determine the Severity of Withdrawal? What is Hydrocodone Withdrawal Timeline? What Helps With Opioid Withdrawals? How to Battle Addiction With Hydrocodone Detox? Hydrocodone withdrawal occurs for the same reason opioid elimination in general occurs—the body adjusts to the presence of the drug, becoming used to it, and once there is an absence of it, the process is triggered. It is estimated that approximately 2.1 million people in the United States currently abuse opioid medication such as Hydrocodone. Why exactly does the absence of the drug trigger withdrawal? Prolonged use of hydrocodone alters the manner in which the central nervous system functions, and over time, the nerve receptors in the brain can essentially forget how to function without the presence of the drug. Once the drug is removed from the system or the amount present reduced, the body will struggle to revert to its natural function, triggering responses in the body that make the individual feel unwell and might even put their life at risk. There are four levels of opioid withdrawal: mild, moderate, moderately severe, and severe. 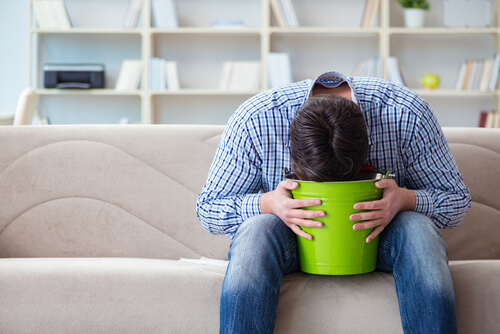 Those with mild to moderate symptoms may be able to handle the process at home, their experience being essentially a Hydrocodone hangover. For individuals experiencing moderately severe to severe withdrawal, it is best to undergo withdrawal and detox in a supervised setting. Hydrocodone withdrawal symptoms are essentially the same as those seen during elimination of other opioid medications and illegal drugs. 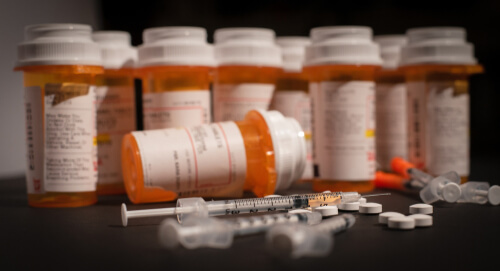 Depending on how much of the drug has built up in the system and which formula is being used, symptoms of hydrocodone withdrawals can start within a few hours of the last dose taken. The process tends to take a specific order and can be broken up into two stages. Once these symptoms lessen or disappear, many of the mental and behavioral symptoms will remain. Some consider this to be the third stage. It is impossible to know just how severe withdrawal symptoms from hydrocodone will be until the individual begins the process. However, there are certain factors that tend to correlate with a more difficult time withdrawing. Those who have been on hydrocodone long term tend to have a harder time, as well as those who took high doses. The exact drug taken with hydrocodone in it can also determine what withdrawal looks like, as can underlying health conditions. 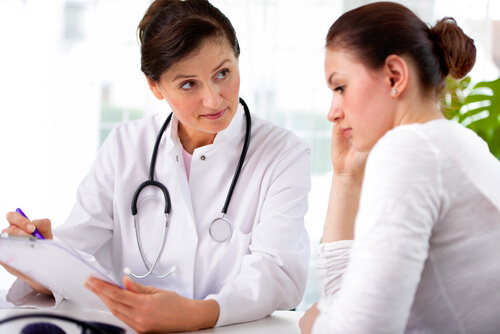 Because the severity of withdrawal from Hydrocodone is unpredictable, it is best that individuals going through the process do so with medical supervision. How long does it take to withdraw from hydrocodone? The way the hydrocodone withdrawal timeline looks will vary from person to person and how it is approached; for example, tapering off Hydrocodone will extend the process but make it easier. And of course, withdrawal is dependent upon how long it takes for Hydrocodone to kick in, as this determines how long it will take for the medication to wear off. With that said, there is a general pattern it follows. Below is what can be expected. The onset of symptoms begins. For those who are taking an immediate release formula of hydrocodone, onset may begin within 6-12 hours. For those taking extended-release formulas, it may take as many as 36 hours to begin. At this point, stage one begins. 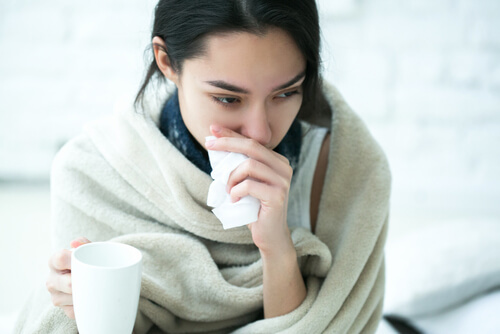 During this time, symptoms tend to mimic those of colds or the flu closely, and the individual may believe themselves to be sick. Hydrocodone itching may also occur. However, this is just the early stage of withdrawal. This will last up to five days from the onset of symptoms and is usually at its worst 72 hours after symptoms begin. Detox may help. As withdrawal stage one peters out, Hydrocodone withdrawal stage two begins. This is the stage where symptoms move beyond just being uncomfortable and become risky. Not only can these symptoms lead to significant health issues, but they also make relapse more likely. Supervision is most important during this stage, which can last for as long as two weeks. Once Hydrocodone stage two has passed, individuals will still have mental and behavioral symptoms that last for about two months. These can include mood disorders, behavioral disorders, and cravings for the drug. Getting through this time period and maintaining a life of sobriety usually requires rehabilitation and recovery programs. While in the thick of it, it can feel like the withdrawal process is unending. However, it is temporary, and it is not the most difficult part of the recovery process. Instead, it is just the first step towards getting and staying clean. What Helps With Hydrocodone Withdrawals at Home? In cases of mild to moderate withdrawal, it is possible to undergo the process at home. However, it is not advisable. First of all, the individual cannot know for certain how severe withdrawal will be, and it is possible to die from opioid withdrawal. Second of all, when unsupervised, it can be too tempting to begin using again to stop withdrawal symptoms rather than toughing it out and getting clean. Finally, in clinical settings, patients have access to both the Hydrocodone withdrawals home remedies and more powerful detox options, making the process more comfortable for them. So, what are some things that offer Hydrocodone withdrawal relief? Taking an over-the-counter pain medication to reduce aches and fever. Wearing loose clothing made from cotton to reduce fever and deal with perspiration. Drinking lots of water to combat dehydration from vomiting and diarrhea. Eating a bland diet to prevent stomach upset. Adopting behaviors that make sleep easier. Should an individual choose to attempt withdrawal at home, they must be prepared to ask for help when needed. Hydrocodone detoxification can help to lessen the symptoms of withdrawal and speed the process along. While there are online guides for detoxing at home, an effective Hydrocodone detox often requires the use of prescription medications and supervised therapies. Individuals looking to make getting clean faster and easier should seek to do so in a medical setting. In some cases, detox may be completed in a matter of days, while in others, it could take up to two weeks to be complete. Unsupervised Detox: Done at home without assistance or guidance from medical professionals. Often based on advice found online, this form of detox has the potential to be extremely dangerous, especially if the individual attempts to access prescription detox medications. Inpatient Detox: Done at a hospital or rehabilitation center, the patient is supervised around the clock and engages in various therapies to manage the Hydrocodone detox process. Medications may be used to make the process faster and easier for the patient. Outpatient Detox: Done both at home and at a rehabilitation center, the patient sees their medical team during the day for Hydrocodone detox-related therapies but returns home at night. It is not recommended in cases of severe addiction where relapse is highly likely. Rapid Detox: This form of detox is only done in medical settings and under heavy supervision. Because it can be deadly, doctors only use this type of detox with very healthy individuals. Any online guides for rapid detox at home should be ignored as they are highly unsafe. No matter what type of detox is undertaken, the individual should consult with a medical professional in advance to ensure they are making the right choice and setting themselves up for success with substance abuse therapies. If opting for medically supervised Hydrocodone detox, it is possible that detox medications will be used. These medications are designed to make the process easier on the patient and have the potential to make the detox process go faster. There are six medications commonly used in Hydrocodone detox. These medications are prescription only, and even if an individual finds a way to access them without a prescription, this should not be done. Instead, rely on supervised Hydrocodone withdrawal help. For those who are suffering from Hydrocodone addiction or dependence, there is help available. Rehabilitation centers across the country know how to manage Hydrocodone withdrawals and detox, making the process safe and as comfortable as possible for the patient and putting the patient on the right path to treat Hydrocodone addiction. Do not take on this difficult process alone. If you or a loved one are experiencing signs of Hydrocodone withdrawal, seek assistance. Speak with our addiction specialists at (888)-459-5511.